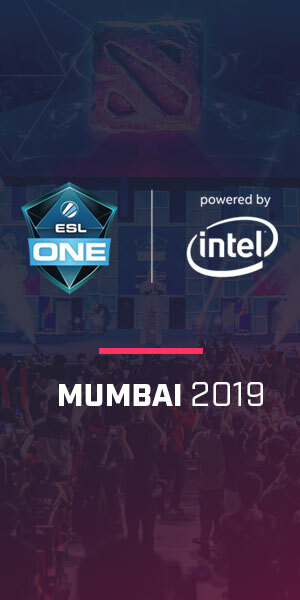 These are the rules for the ESL One Mumbai 2019 European Open Qualifier. We make every effort to ensure the rules are complete and up to date but this may not always be the case. You should also check the Info Page and News for additions, exceptions and modifications that may apply. The rules are a guideline and the decisions by admins may differ from them depending on the circumstances. If you have any questions about the rules, please write a support ticket. A lobby will be automatically created by the ESL Dota 2 Game Integration system. All team members will be invited for that lobby and will be able to join. The lobby information will also be available in the match page (click in your opponent team name in the tournament widget found on the right side of the page, or access the match page via "Path View" tab) in case the invite fails or a player rejects the invite by mistake. The system automatically kicks any players that joins the lobby and do not belong to the ESL team. ¹ Share it with your opponent so they can find the lobby ¹¹ Due to an ingame bug which does not allow lobbies without a league set from being generated with a 5 minute delay, spectators are not available in these qualifiers to prevent ward snipping. The game will start once both teams are present in the round. The only exception to this rule is matches being played after day 2 of the qualifier. You can check your game schedule in the tournament widget on the right side of the page, or the full schedule in the Info page of the tournament. The server is by default Luxembourg. Each team has 15 minutes to show up to a match. (Match date +15 minutes). Showing up after 15 minutes result in a default loss. The team that is waiting must open a protest ticket in order to request the default win. Please keep in mind, if a team or player did show up in time, but needs to leave the lobby to sort an issue, it does not count as a no show if he's not back after match date + 15 minutes. Abuse of this exception will lead into a default loss of the match. Open a protest ticket if you feel that the team is abusing this rule. All players must have an updated Dota 2 Steam ID added to his ESL account. A wrong, missing or outdated Dota 2 Steam ID in the ESL Player Account will cause the player to not be able to join the ingame lobby. The lobby will be created by the ESL Dota 2 Game Integration system. All team members will be invited for that lobby and will be able to join. The lobby information will also be available in the match page (click in your opponent team name in the tournament widget found on the right side of the page, or access the match page via "Path View" tab) in case the invite fails or a player rejects the invite by mistake. If there are issues with the system, the lobby host can be any player that is part of one of the teams. Please follow the "Lobby Settings" and the rules stated on the "Game mode" tab above. You are not allowed to change a player after the start of a match. All players must be part of the ESL Team. The use of standins on cups is allowed. All players must be registered on ESL and assigned to the team they are playing for (including standins). Not fulfilling this rule can lead into disqualification. A pause shouldn't be longer than 5 minutes. In the case a longer pause being needed, the opponent or an ESL admin has to agree it, otherwise the match continues. To unpause a game is only allowed if both teams agree to it in all chat or a pause lasted longer as 5 minutes and no further agreements were made. If a player drop or is lagging duo to a DDOS attack, the Pause Rule and the Player Drops rule is applied. There are no exceptions for DDOS attacks. It's the players responsibility to protect himself against DDOS attacks. If there is a technical problem that requires a rematch, please contact an admin via protest ticket. You can abort a match by typing "gg" (without the "") in all chat. The match will end and the team that typed "gg" will recieve a loss. Results are automatically added by the ESL Dota 2 Game Integration system. In case the system is not working properly, both participants are responsible to enter the correct result. Results must be submitted after all games have been played. If anything is unclear, participants should have screenshots and the required replay files available to verify the result and file a protest. We highly recommend the teams to take a screenshot of the match result after every game. In case there is a protest ticket or a dispute after the game, screenshots can and will be used to solve the problems. Please use match chat, located on the bottom right hand side of your screen or submit a support/protest ticket for any assistance during the cup. Any actions that result in an unfair advantage are illegal. This includes bug abuse and scripts. Spectators inside the Lobby are forbidden (such as coach's, managers or casters). Only official ESL Casters or Admins are allowed. In case there is a caster allowed in the match, an admin will reach out to both teams and notify them about it.